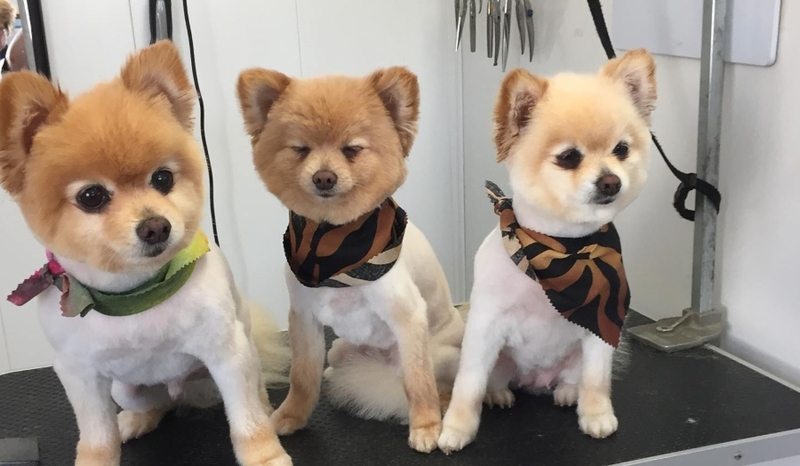 We offer the finest in dog grooming services at affordable prices. We have great offers with amazing prices. Check us out today! 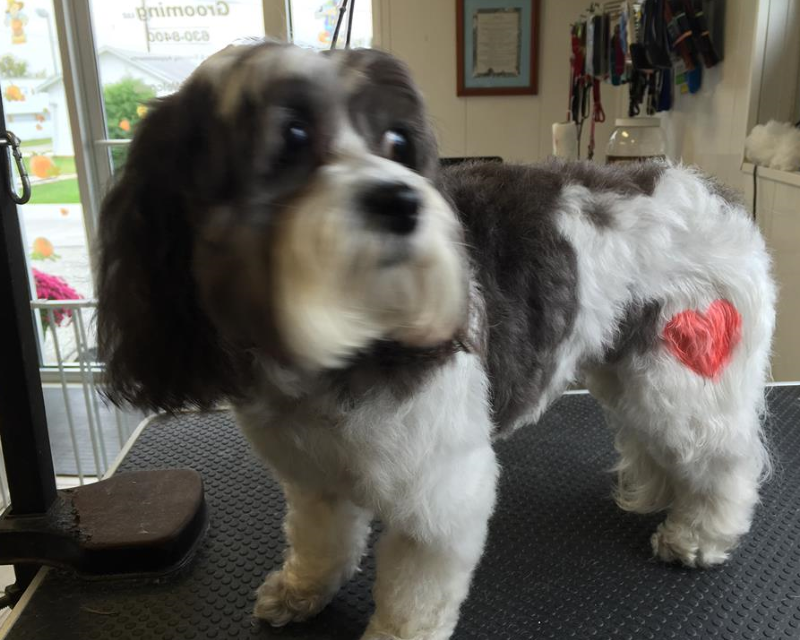 Discover our amazing services and add-ons to treat your pet to the best. We stock a full line of care and accessory products. 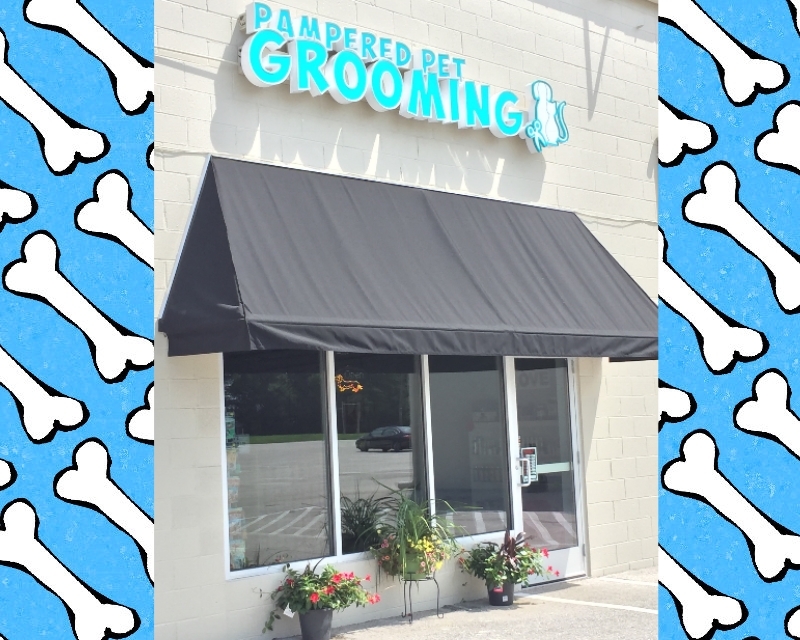 Pampered Pet Grooming opened on July 1, 2010 as a small shop open on a part-time basis with Joy as the only groomer. 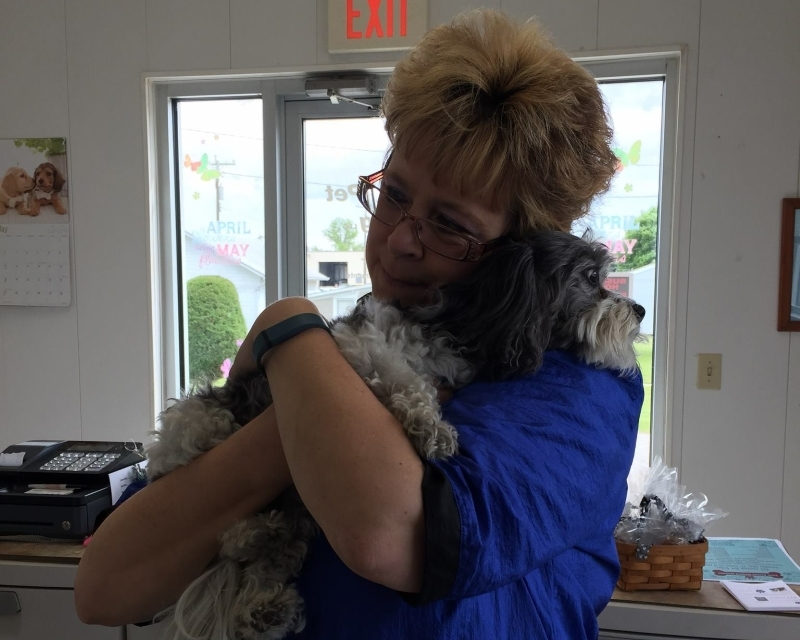 Joy's mother would come into the shop to keep her company and to play with the dogs. 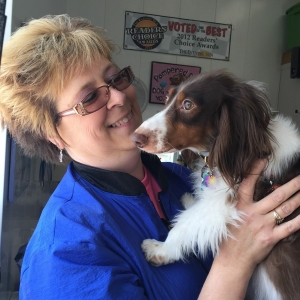 Many customers would return for their pet only to find it being held by Joy's mom and rocked in a rocking chair! 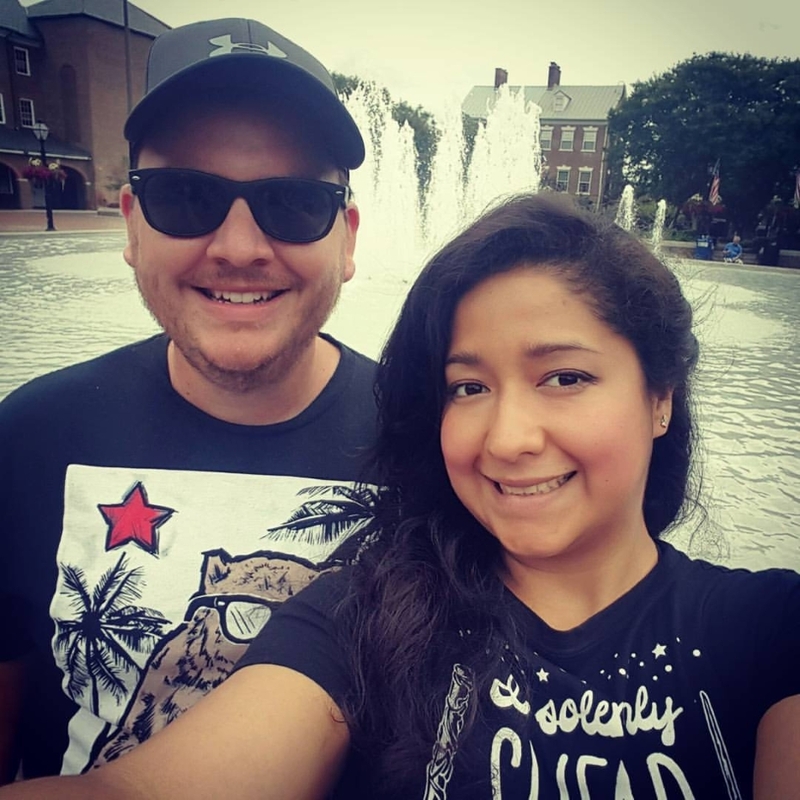 After a year, the shop was able to open on a full-time basis. 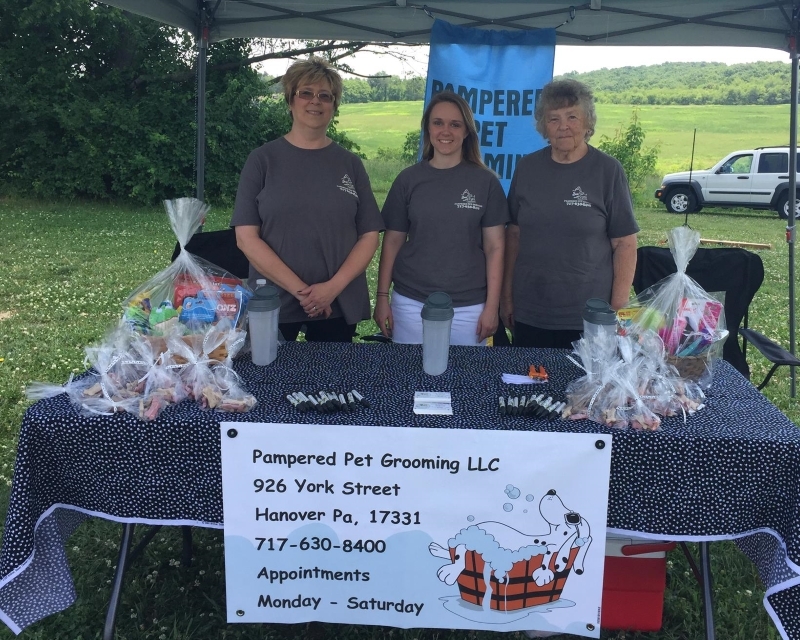 Pampered Pet has since grown into a popular shop with three full-time groomers and a bather. 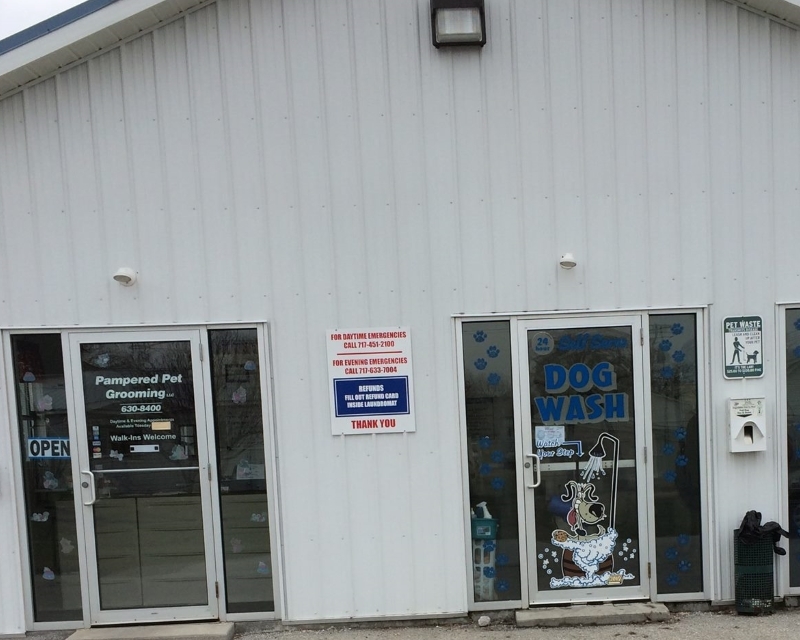 Pampered Pet offers a clean and sanitary environment that is comfortable for your closest friend. 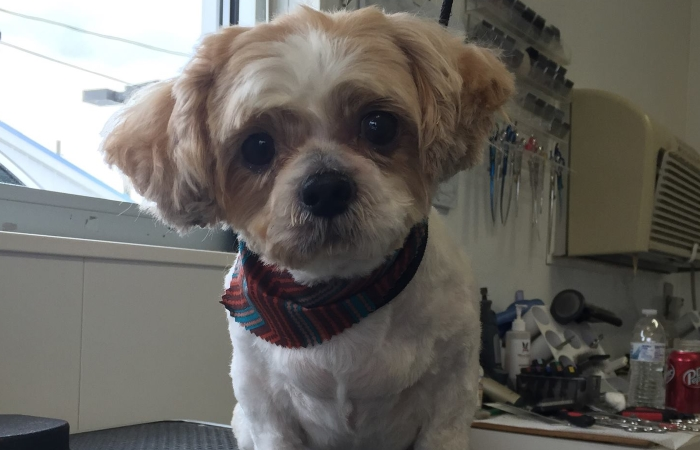 Our staff loves animals of all shapes and sizes and is sure to treat your pet like their own. 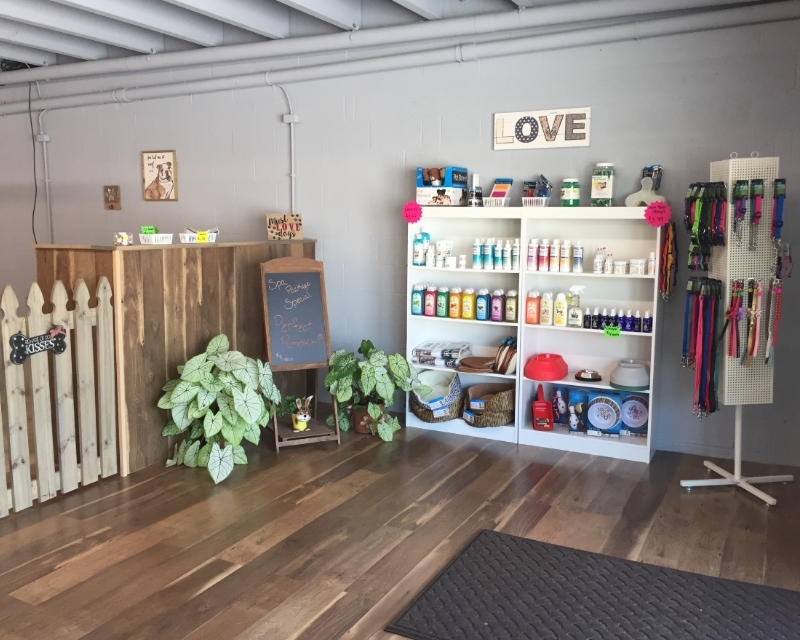 From treats and accessories to full bathing and grooming options, Pampered Pet has what you need. 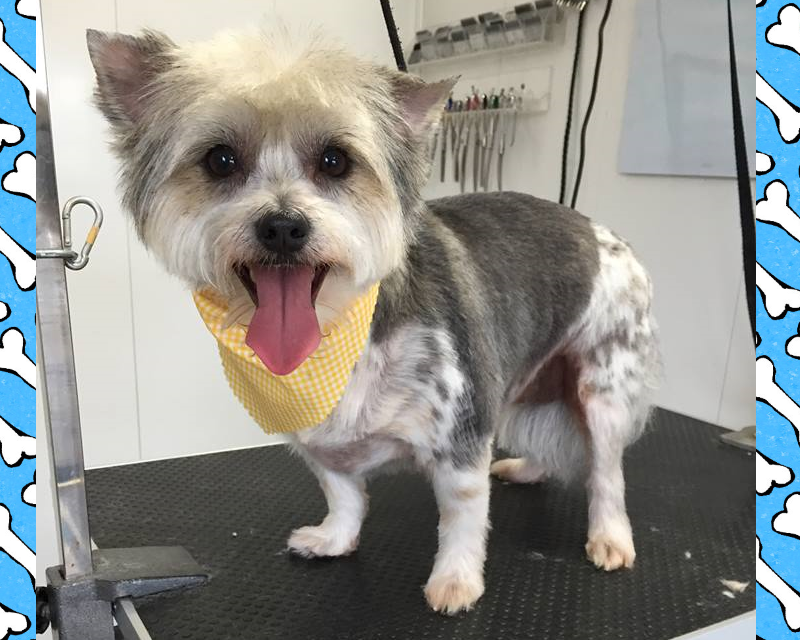 Pampered Pet Grooming strives to provide our clients with top quality service at reasonable prices. 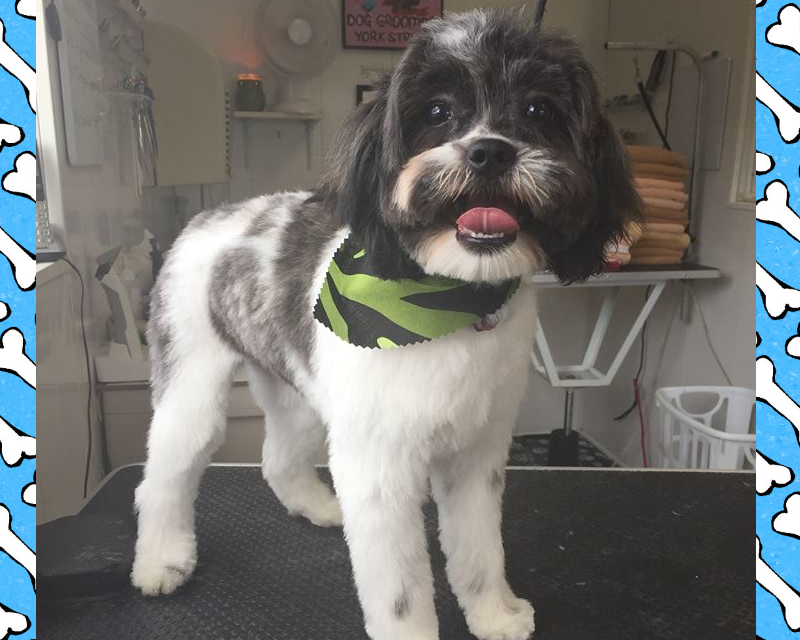 We pride ourselves in providing our customers with the style they want for their pet as well as helping them with any other issues their pet may be having. 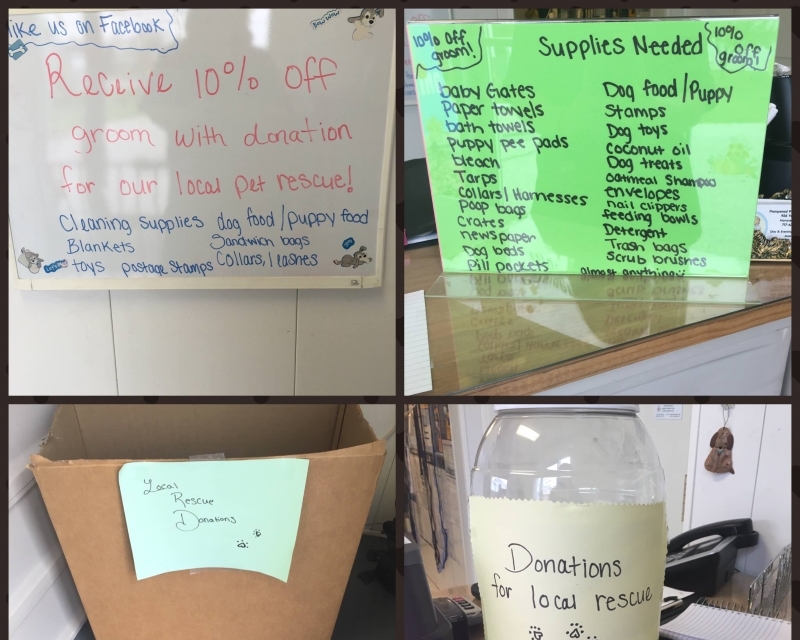 We do not stockpile pets and hold them until the end of the day. 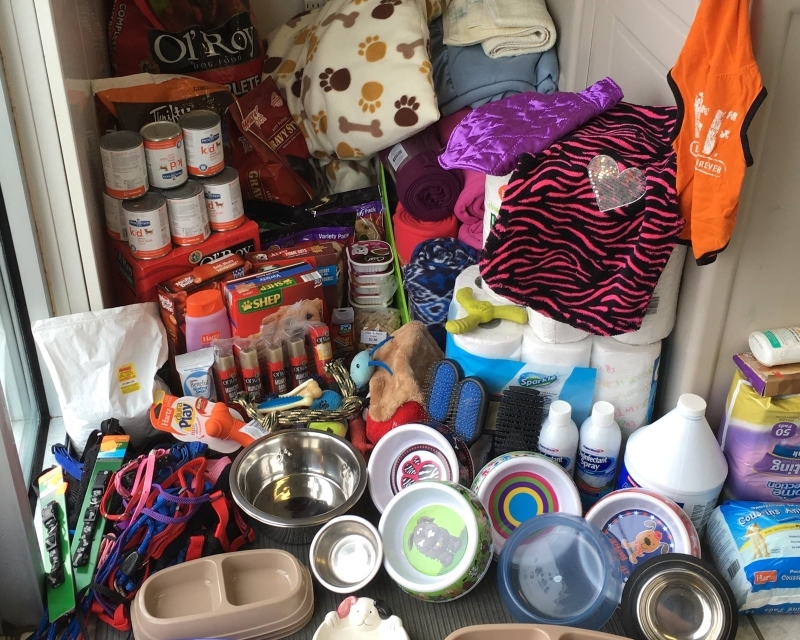 Most pets are finished and ready to be picked up in 1 to 1.5 hours. 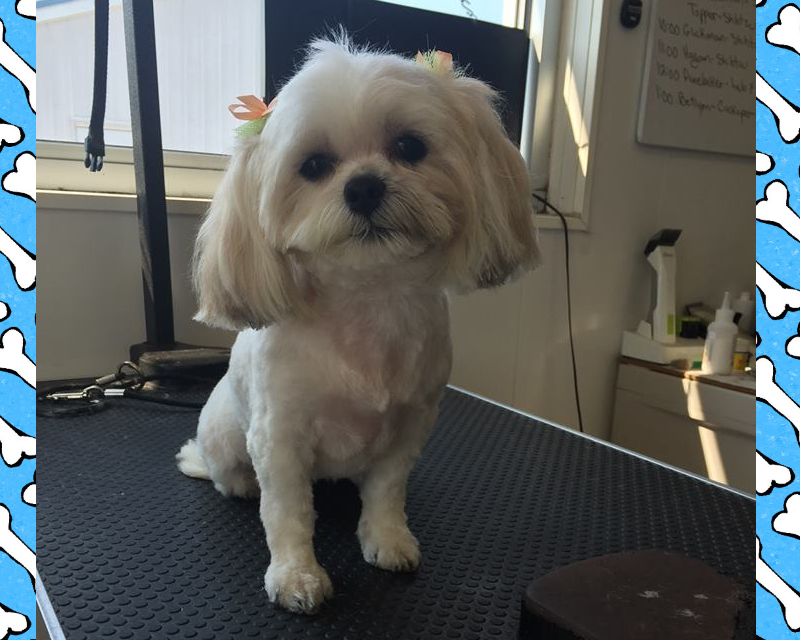 Our groomers handle one pet at a time from start to finish. 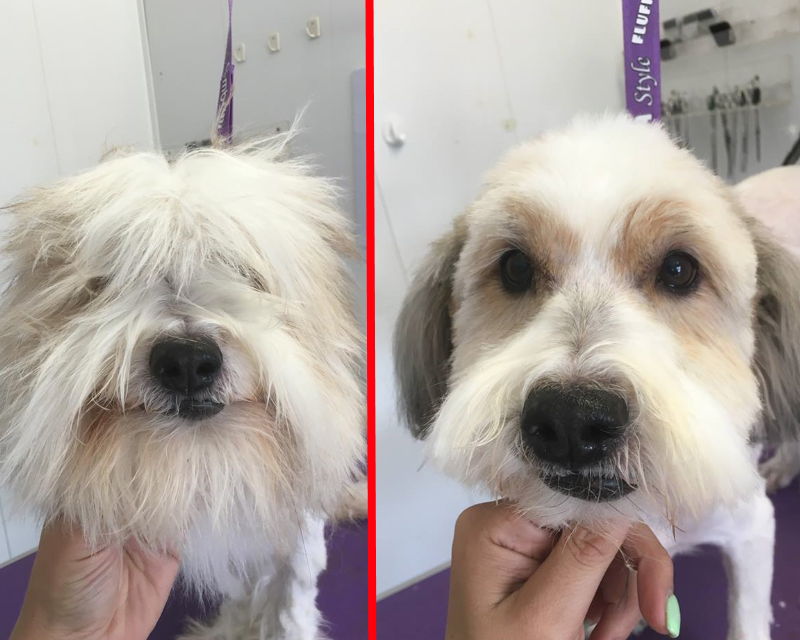 We do not discriminate, and groom all breeds! Growing up in the country, Joy has always had a great love for all animals, both domestic animals and wildlife. After high school, Joy worked in a factory for many years until she could no longer ignore her passion to work with animals. 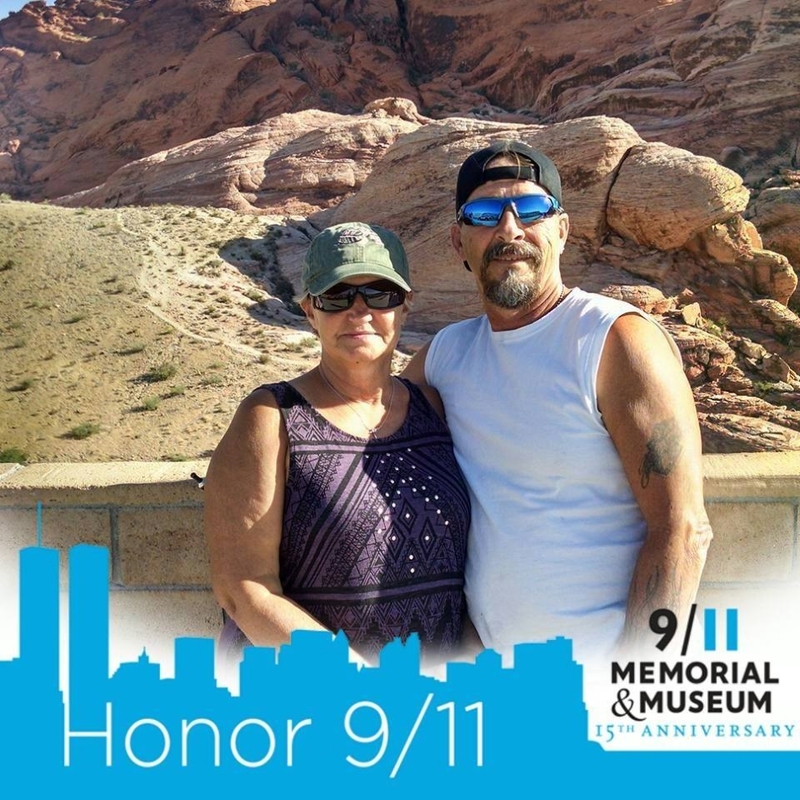 Taking her husband's advice, she started a new career as a bather, leading to a full-time job as a groomer. Joy has now been grooming for 10 years. Her personal favorite breed is the dachshund. Joy has owned four dachshunds at a time with the oldest two living to be 16 and 17 years old. 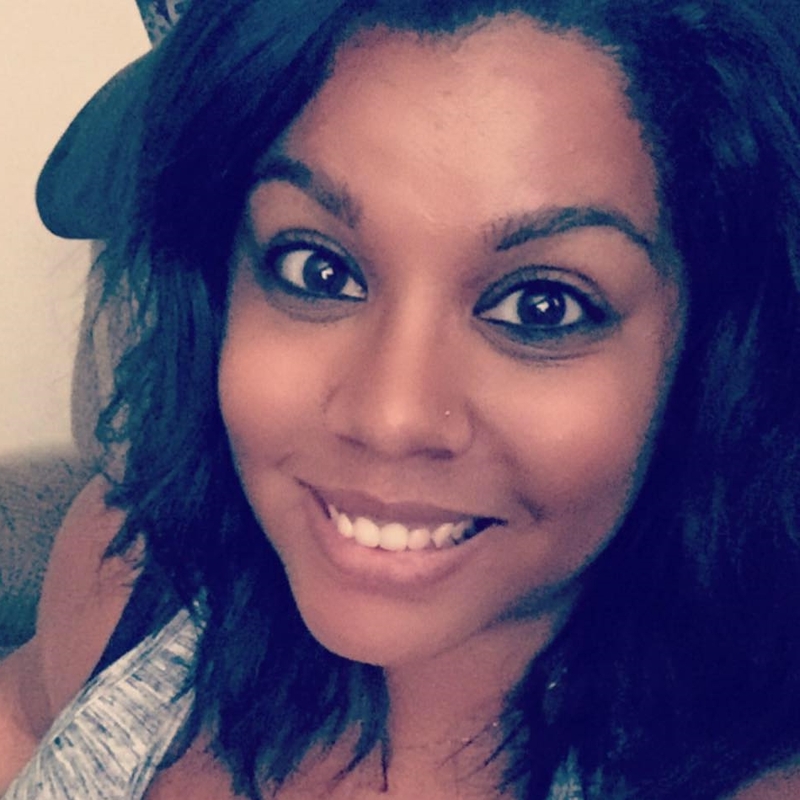 Lyndsey is the newest groomer to Pampered Pet and has four years of experience grooming cats and dogs. 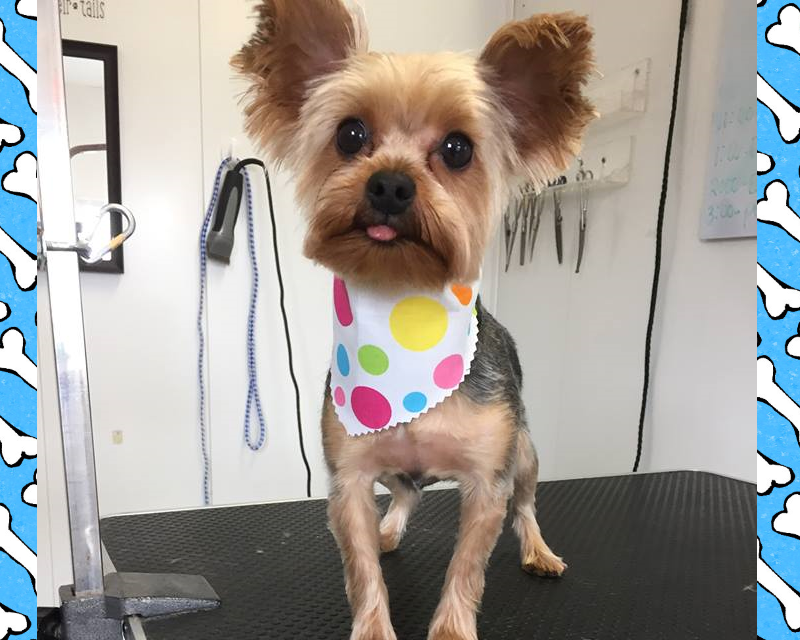 She has a 13 year old Yorkie making them her favorite breed to groom, but she loves all breeds. 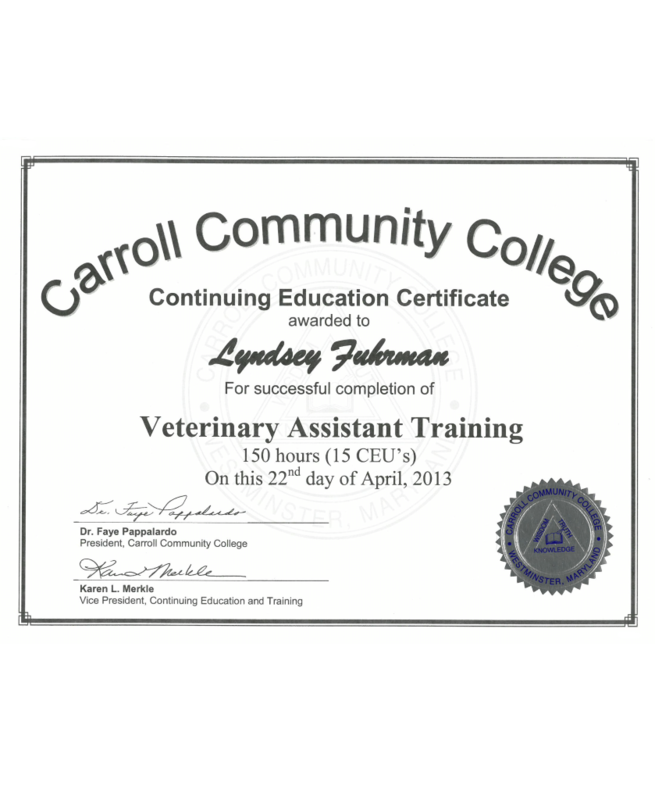 Lyndsey attended Carroll Community College's Veterinary Assistant Program and also received a certificate for pet massage. 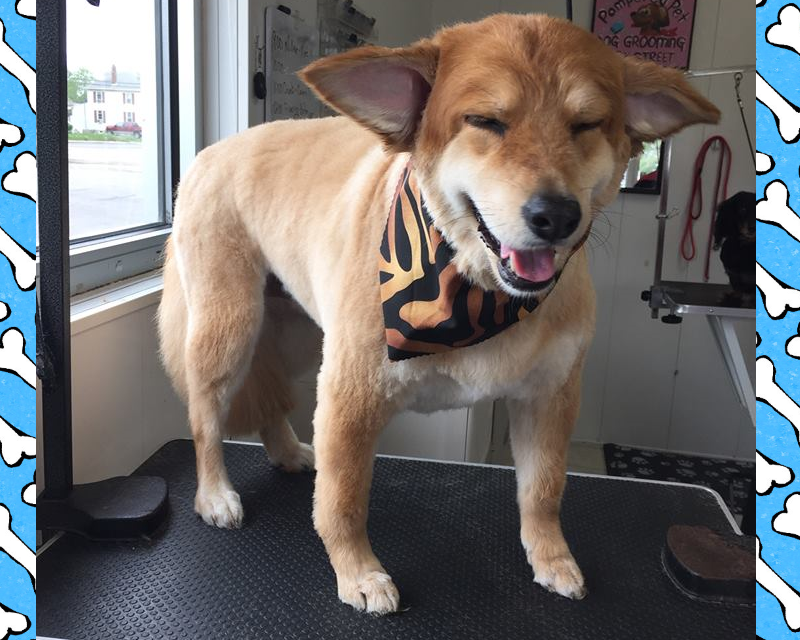 I just want to say that I've tried a good many groomers and this is my favorite place also my pets' favorite place. 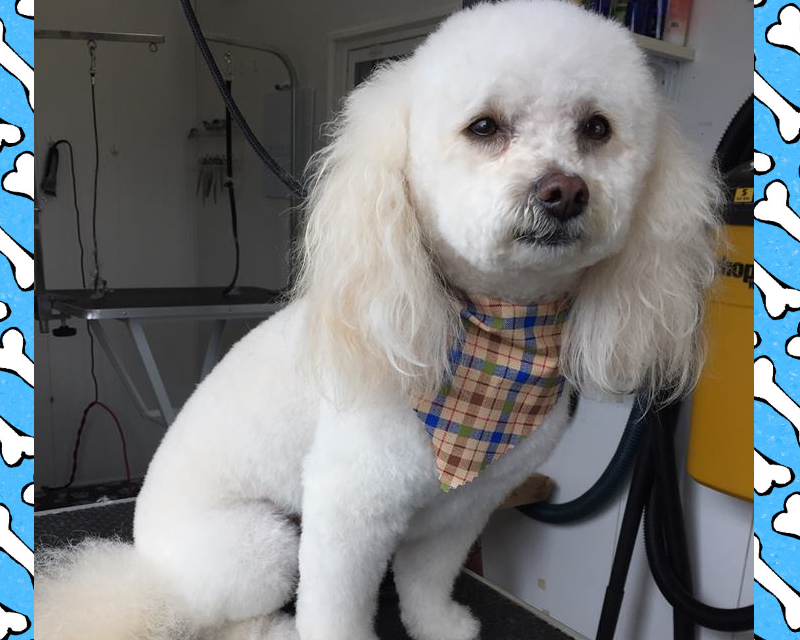 Exceptional grooming and stress free for my dogs also an excellent price and very friendly respectful people thank you for all you do. They always do a wonderful job on my squirmy baby's nails! So patient too! 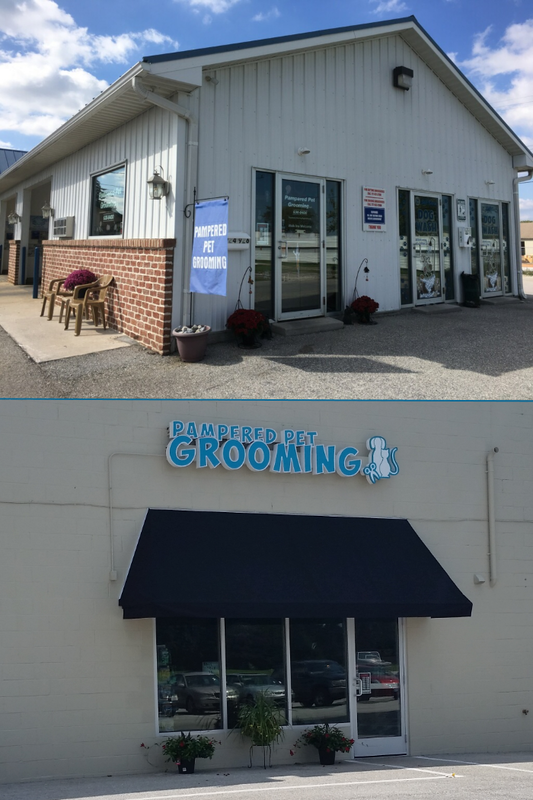 We were referred by my Sister and this is by far the best grooming place we've ever been too. Foxy always smells fresh and clean and her breath smells refreshing. We will be clients for life!! 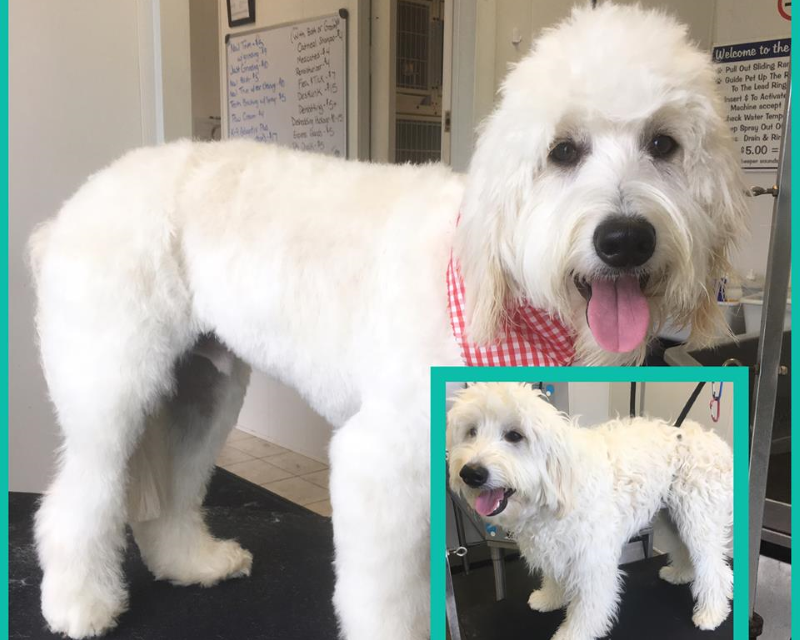 I brought my puppy in for a walk-in nail clipping today. 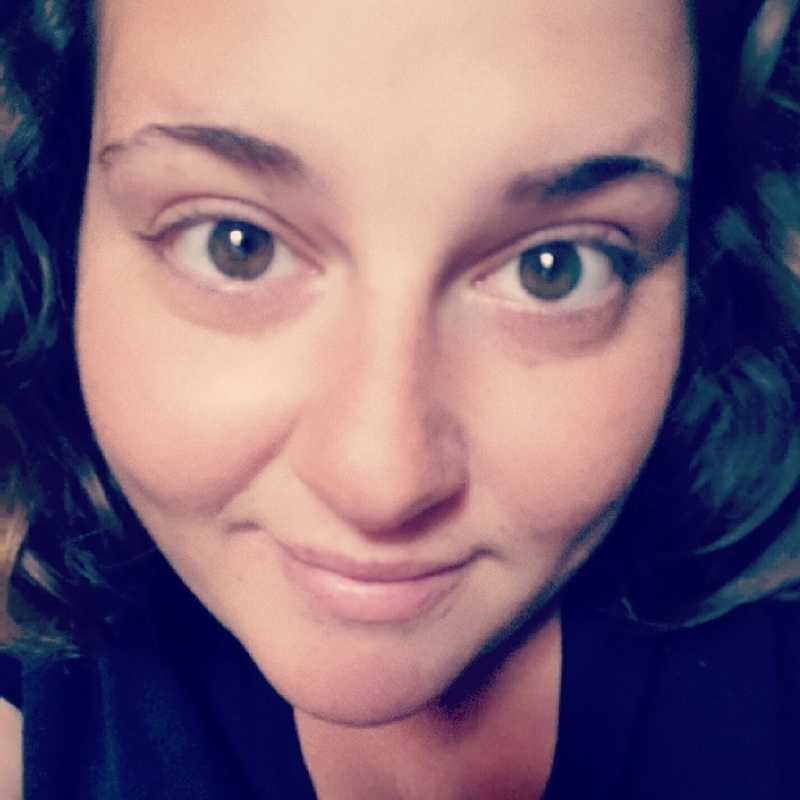 I was pleased with the fast and professional service! And very affordable pricing! I took my baby their today and am very pleased. I asked to see the facility and was shown it without hesitation. The quality of work and the cost was great!! When it storms my baby is scared and upon my arrival I found her being held. I would recommend them to anyone and will be taking my other baby there soon!! 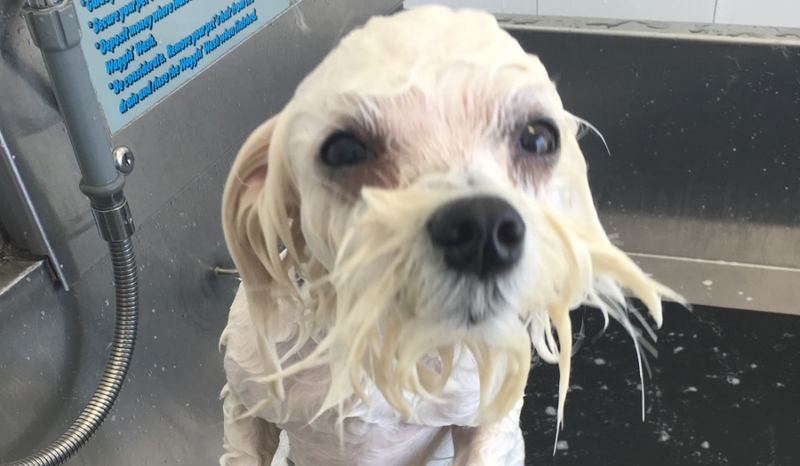 At Pampered Pet, we offer complete bathing options for your pet. 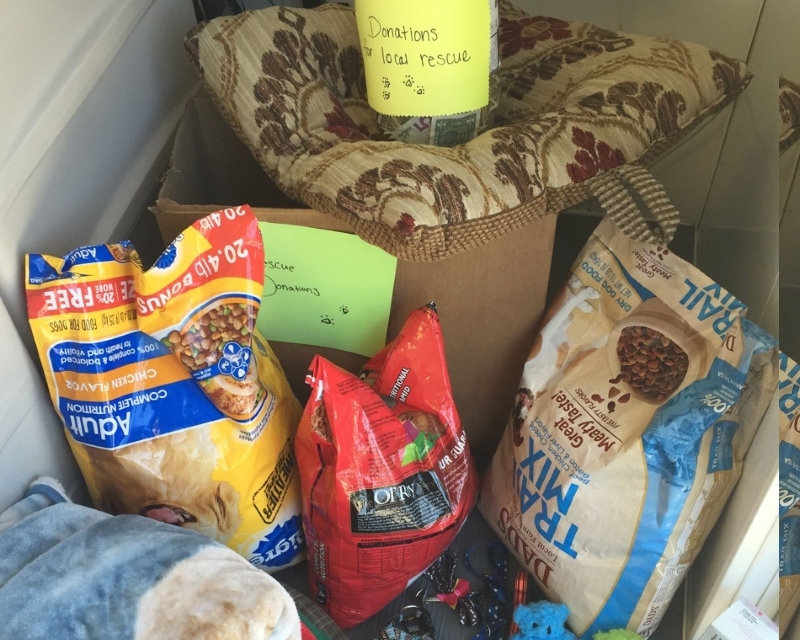 Choose from a standard option or indulge your pet with one of many other options. 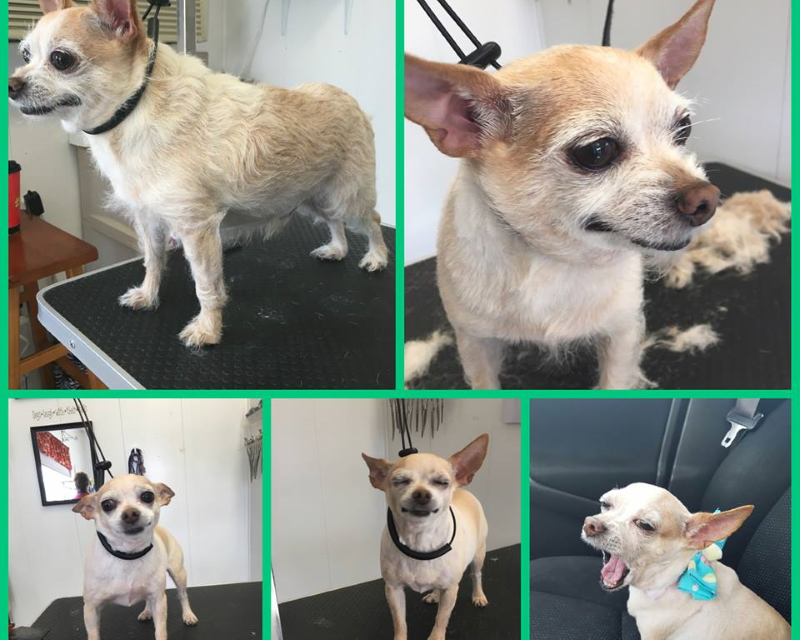 No matter what breed you have or what style you're looking for, Pampered Pet has the staff ready to keep your pet looking his or her best! 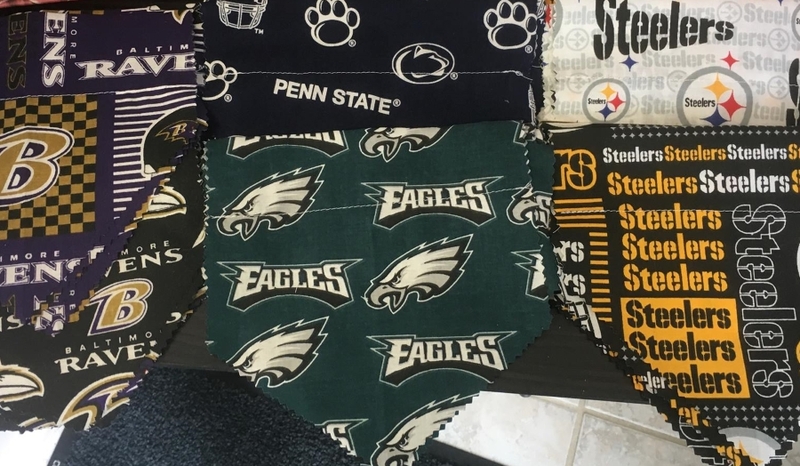 Choose from any one of our services including facials, flea & tick treatments, de-shedding, and nail polish or pick up a bandana, collar, or other accessory. 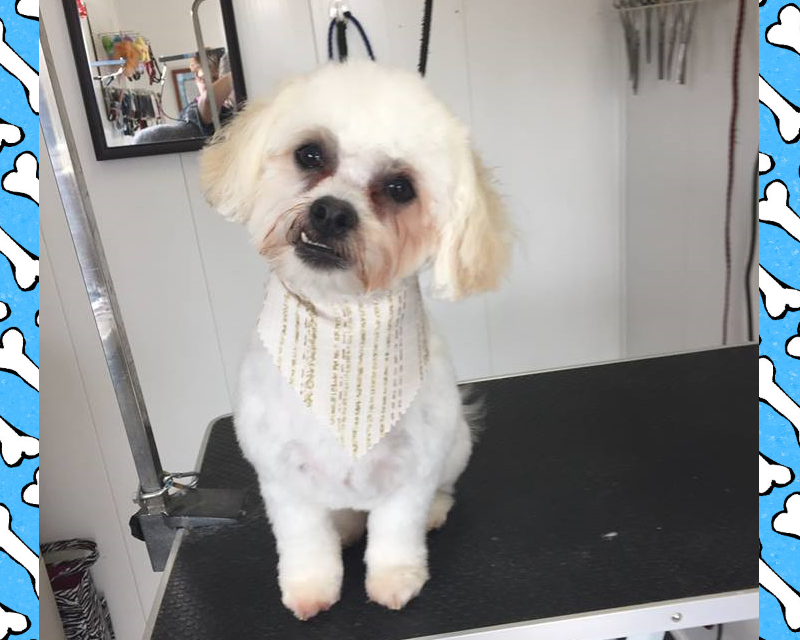 We now have the opportunity to provide our clients with our top quality grooming services as well as daycare and boarding for your pet. 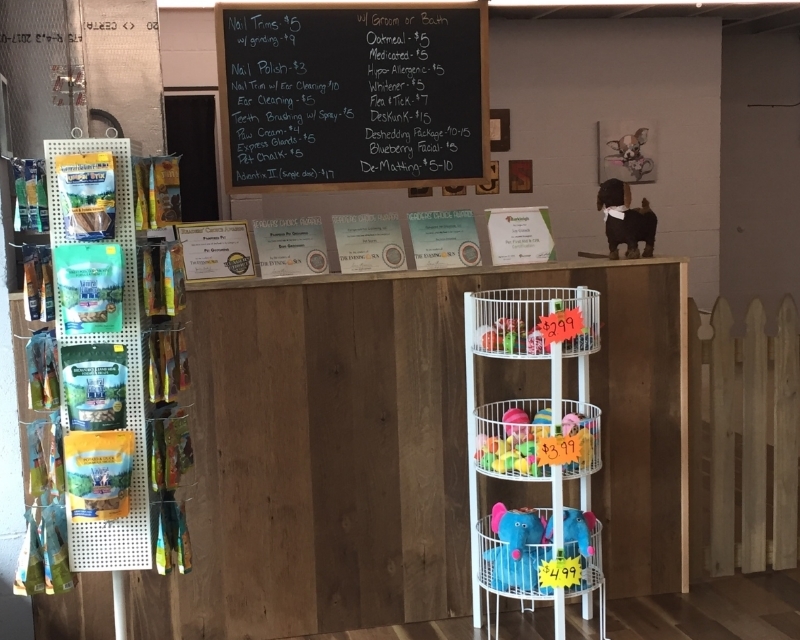 We offer inside and outside play areas for a busy, active day for your pet. It is our goal to provide fun as well as exercise for your pet while you work or go about your busy day. Please print and sign the four (4) forms below to apply! 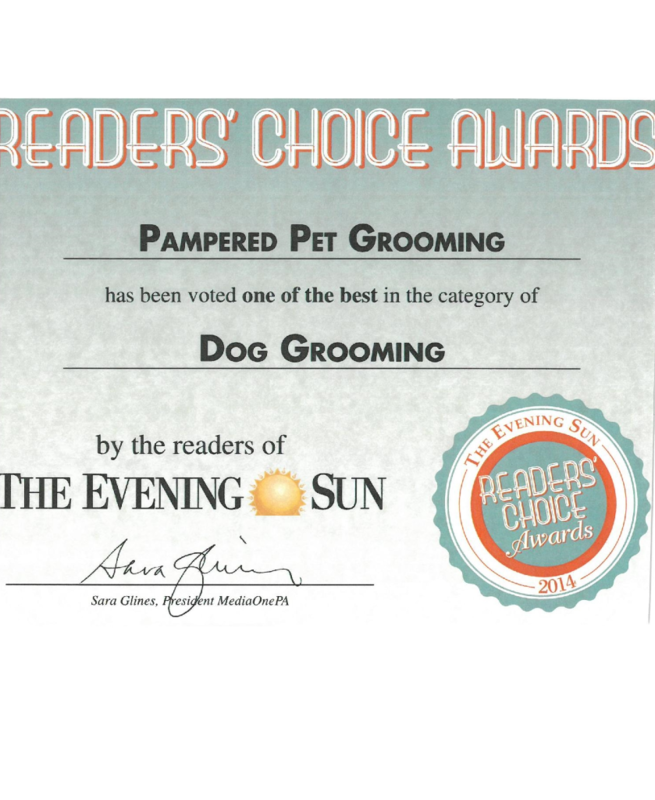 That's right, we've been voted the #1 dog groomer by the Evening Sun! Thank you to everyone who voted and who continue to support us. 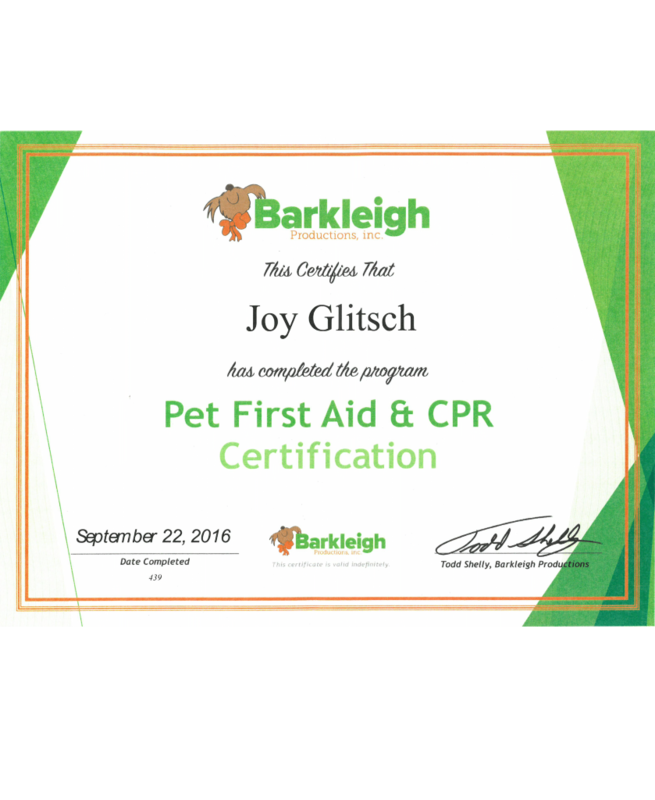 Joy Glitsch has completed the program Pet First Aid & CPR. 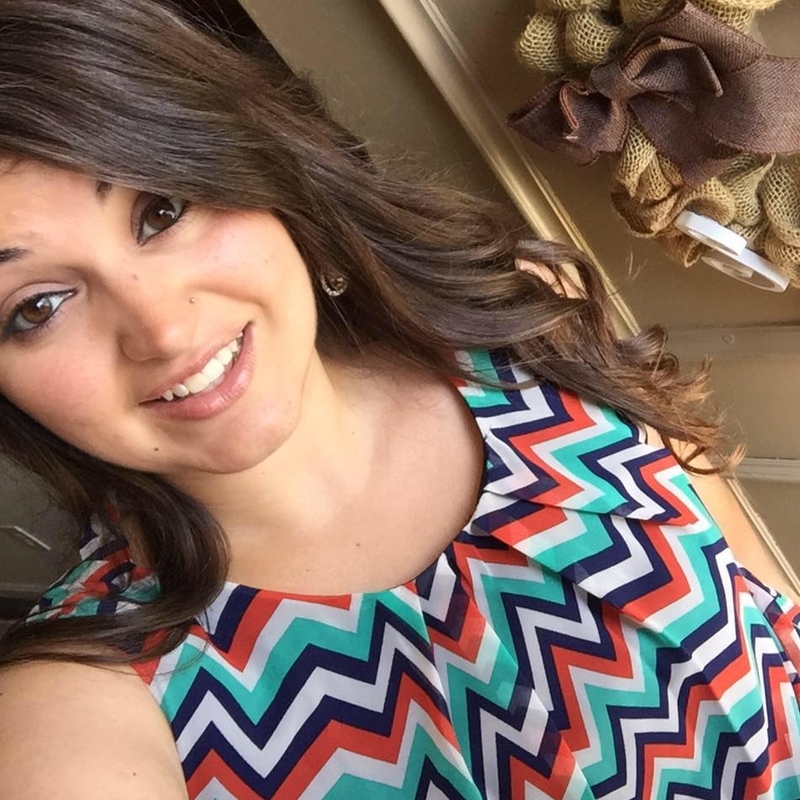 Groomer Lyndsey Fuhrman has successfully completed 150 hours of Veterinary Assistant Training from Carroll Community College. 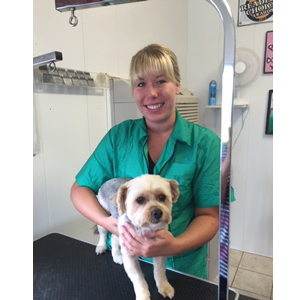 Groomer Lyndsey Fuhrman has completed Introduction to Pet Massage as provided by Carroll Community College. 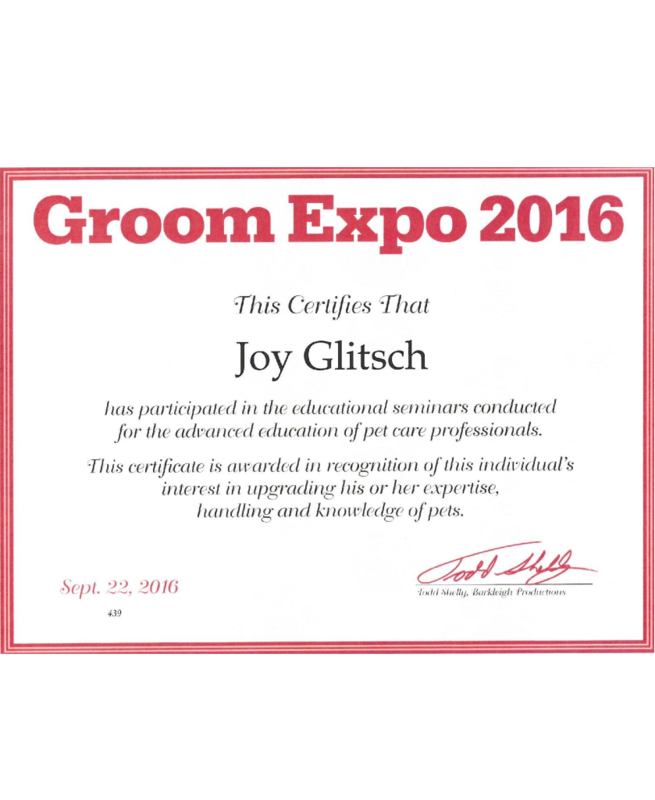 Joy Glitsch has participated in the educational seminars conducted for the advanced education of pet care professionals. This certificate is awarded in recognition of Joy's interest in upgrading her expertise, handling and knowledge of pets. 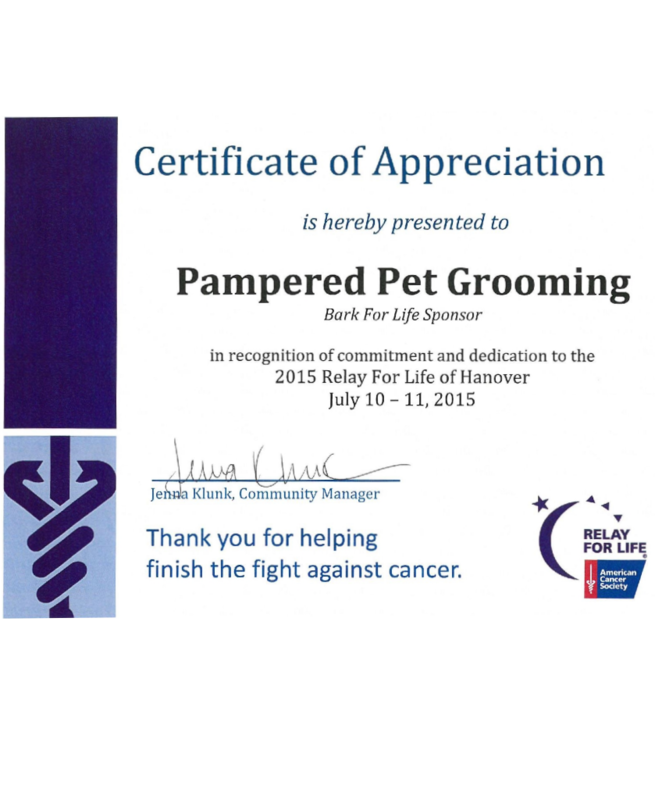 Pampered Pet Grooming has been recognized as a Bark For Life Sponsor in recognition of commitment and dedication to the 2015 Relay For Life of Hanover held on July 10-11, 2015. 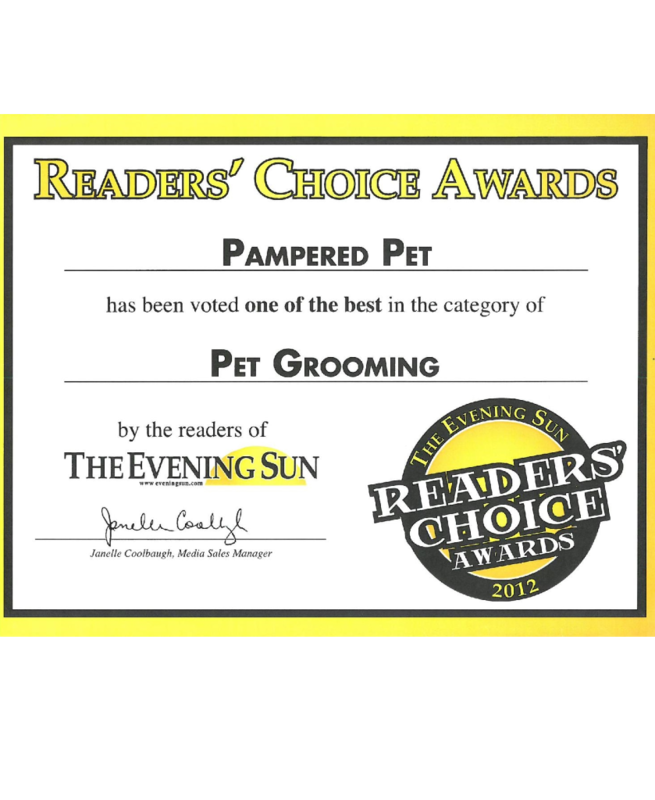 Pampered Pet Grooming has been voted as one of the best in the category of Dog Grooming for the year 2014. Thank you to everyone who voted for us every year. Pampered Pet Grooming has been voted as one of the best in the category of Dog Grooming for the year 2012. Thank you to everyone who voted for us every year.